I'm participating in the 15th annual Fun-a-day exhibit, where many of our neighbors will be sharing creative projects that they've made iterations of for every day in January. This is one of my favorite cultural events of the year, and I'd highly recommend it. One of my favorite past projects was the person who wrote 31 haiku about their rides on SEPTA. And then there was my friend hannah's "Minor-crime-a-day" which turned into a commentary on privilege and the criminal justice system. Back in 2014 I spent time every day making close up photographs of tea & cream. 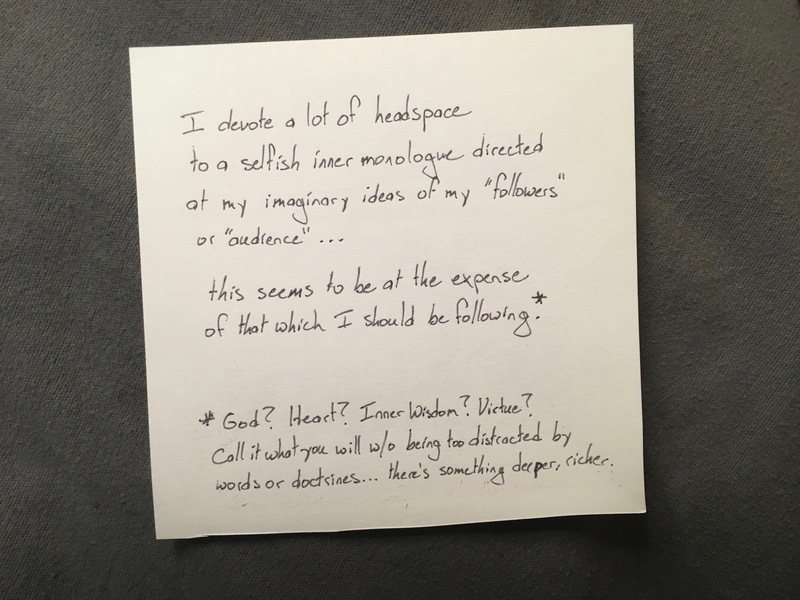 For this year's project, I've spent with pen and paper writing down many of the reasons why I'm deleting my Facebook & Instagram (& maybe Twitter) accounts before I turn 40.